Say Goodbye by Chris Brown comes under the genre Pop,General. It was released on 08 Aug 2006 under the label of Jive. Copyright holded by This Compilation (P) 2006 Zomba Recording LLC. 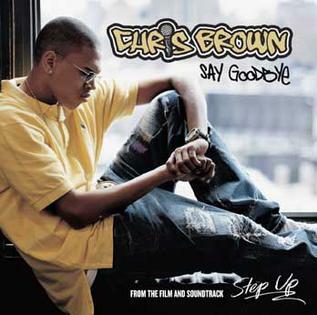 'Say Goodbye' is the fourth single by Chris Brown, released August 8, 2006. The song is also featured in the movie 'Step Up', where it is the third single from the soundtrack. It became Brown's third top 10 single on the Billboard 100, peaking at #10 on October 31, 2006, and the second single of his career to top the R&B charts. The track was released as a single in the UK. Say Goodbye Lyrics are the property of the respective artists, writers and labels. These lyrics are provided for eduacational purposes only. Please buy the song if you like them.